BrahMos, supersonic cruise missile successfully test firing as part of service life extension programme, from the Integrated Test Range (ITR), in Balasore, Odisha on May 21, 2018. The precision strike missile followed the designated trajectory and the key components functioned perfectly. BrahMos has proved again all-weather capability flying in sea-state 7 with waves as high as 9 meters. DRDO’s range capability to operate in the most severe weather condition has also been validated at ITR Balasore. 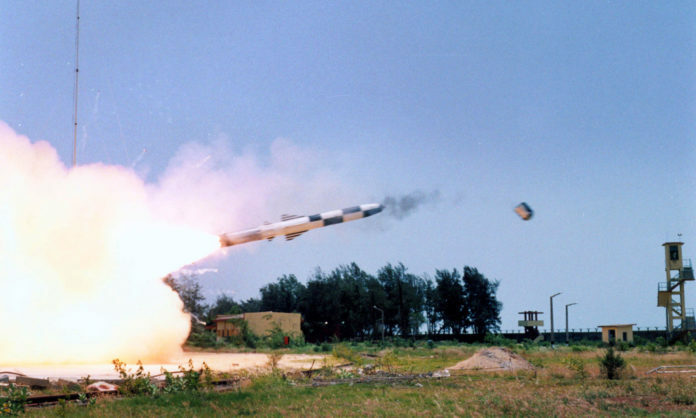 Senior Army officials and scientists from DRDO and BrahMos witnessed the trial.